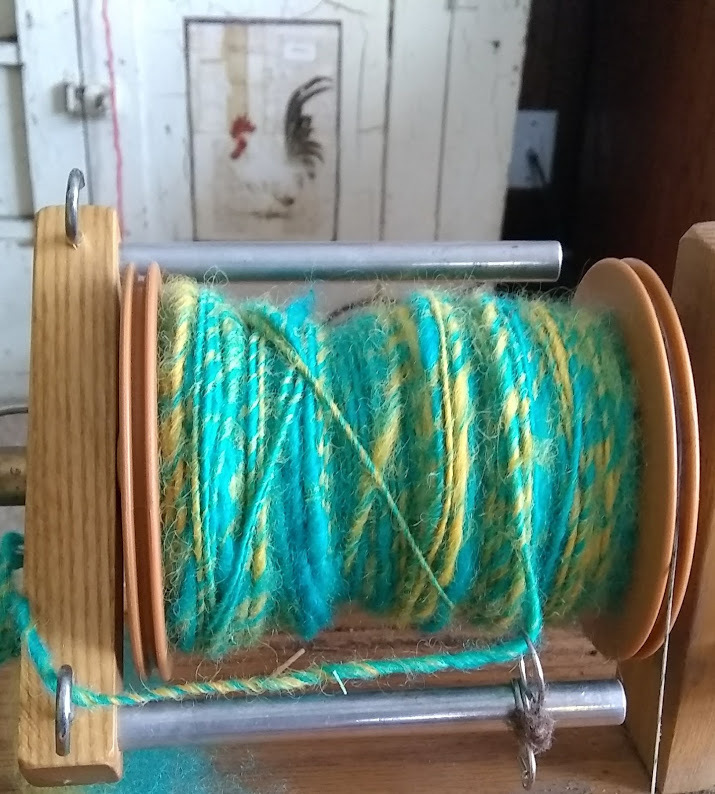 I learned to spin yarn on a very old wheel from Russia. It's difficult to learn on an antique wheel! 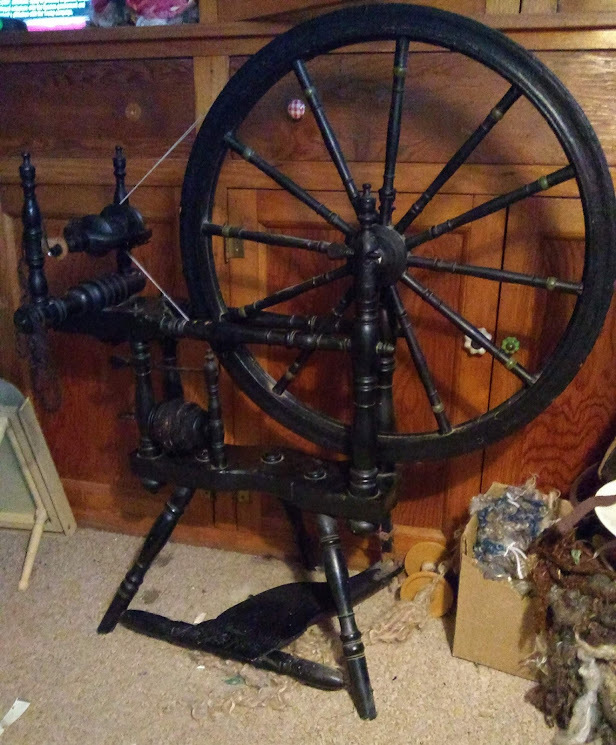 I almost quit but I got to try a new wheel and wa-la- I could spin yarn! I was determined to learn because people told me to burn my Woolamina's wool? Suffolk wool is worth nothing??? Gasp! ANYhoo, that was long long ago. Since then I've collected quite a stable of wheels. Too many wheels if the sheep have anything to say about it. Good thing they don't right? Ha! My antique Great Wheel aka walking wheel. 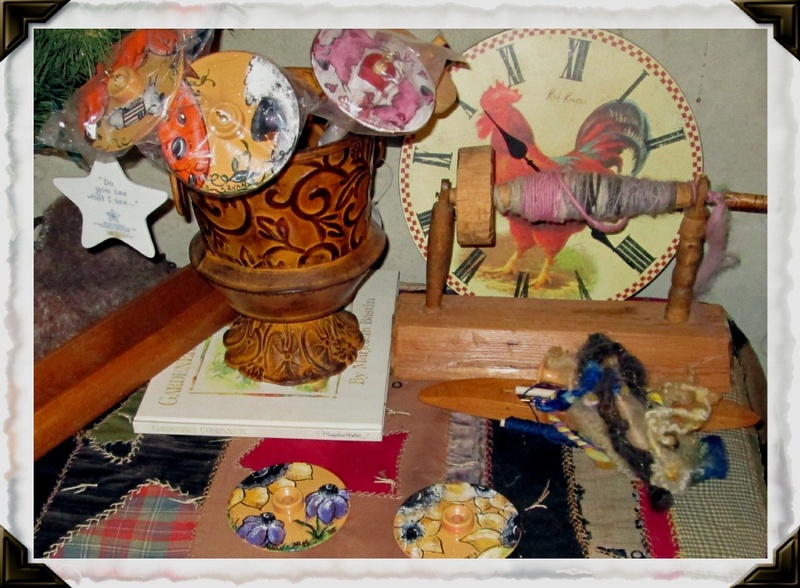 On left: drop spindles painted by me.